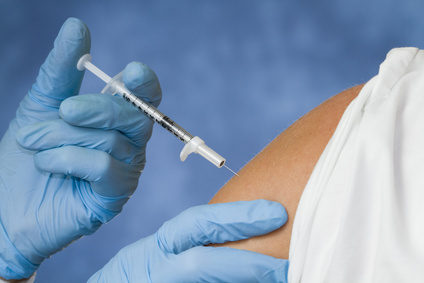 Can You Require Employees to Get a Flu Shot? An employer has a policy requiring all new employees to get a flu shot. After a job offer is extended to a certain applicant, she tells the employer that she has a religious objection to getting a flu shot. If the employer revokes the job offer, is this discrimination? It might be. The EEOC recently filed a lawsuit in federal court in Michigan against an employer when it withdrew a job offer under these circumstances. EEOC v. Memorial Healthcare, Case No. 2:18-cv-10523. Yvonne Bair applied for a position as a medical transcriptionist with Memorial Healthcare in January of 2016. After she was offered the position, she had to undergo a medical examination. During the exam, she was told that the hospital had a mandatory vaccination requirement during flu season. Bair told the hospital that she has a religious belief against injecting or ingesting foreign substances in her body and is committed to relying only on natural methods for health. Despite Bair’s offer to wear a mask during flu season, the hospital ended up withdrawing her job offer. The EEOC claims that Memorial Healthcare discriminated against Bair on the basis of her religion in violation of Title VII by failing to provide her a reasonable accommodation. In its complaint, the EEOC seeks damages for Bair, along with injunctive relief prohibiting the hospital from engaging in this type of religious discrimination. Employers must be always be careful of applying policies too rigidly. The EEOC points out in this complaint that the hospital actually did make exceptions to its vaccination requirement for employees who cannot take flu inoculations for medical reasons—which certainly didn’t help support its contention that there was no way around the requirement. When faced with a request for an accommodation based upon a religious belief, it is always important to carefully consider whether there are alternatives which can still adequately address the underlying reasons for any particular policy.